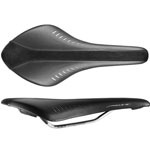 One of the most important aspects of to get right on a bike is the saddle, or seat because this is where we spend a great deal of our time whilst we are riding and as part of the bike fitting process. If the saddle size, shape, positioning and type isn’t individually optimised for you, you can experience a great deal of discomfort, resulting in long-term anatomical damage. 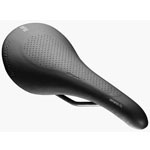 DID YOU KNOW: The saddle takes at least half the rider’s weight and is the most common complaint from cyclists when it comes to discomfort. Bike saddles can cause numbness, soreness and other issues including chronic genital and prostate problems in men and soft tissue damage in women. The array of issues to that specific area of the body arise from sitting on a saddle that is not appropriate for extended periods of time. For both men and women, these include chafing, folliculitis, genital pressure and numbness, swelling, erectile dysfunction, nerve irritation and damage, and a variety of other related problems. There are two types of saddles which are Traditional (non-anatomical) or Non-traditional (anatomical) and depending on your individual comfort and feedback you may decide to choose either type of saddle. The right saddle for one’s anatomy and riding style can vastly improve both efficiency and wellbeing – both on and off the bike. Comfort equals performance, remember? 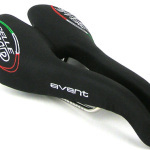 A saddle should ideally do much more than protect the rider from the seat post. It should eliminate pressure points and fit the rider’s anatomy like a glove. Proper saddle selection, as part of a professional bike fit that also takes into account the biometrics of the rider and their riding style, is critical. Additional benefits of a saddle test include saving money, alleviation of pain and avoidance of time wasted with an incorrect saddle. We have a saddle test program that allows cyclists to try before they buy, in order to achieve the very best in saddle compatibility with their body and riding style. 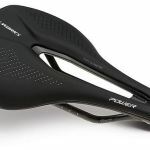 The saddle is chosen based on postural and anatomical considerations including the distance between the bones of the lower pelvis and pubis (the “sit bones”), as well as how the rider sits on the bike. A professional bike fit is the right way to ensure the correct saddle is recommended and chosen. Traditional (non-anatomical) or incorrectly fitted saddles can compress the pudendal nerves and blood vessels, which results in pain, numbness and damage to soft tissues. This can be detrimental to both men and women in different ways. The right Non-traditional (anatomical) saddle can decrease this pressure, pain, numbness and soft tissue damage. For Bike Fit Studio clients at the time of their bike fit or within the last 12 months of their last bike fit with us, we offer a non-refundable test saddle hire of $7.50 per week for a maximum of four (4) weeks unless otherwise agreed with us.For non-Bike Fit Studio clients then we offer a 20-minute test saddle appointment for $59.00 and also offer a non-refundable test saddle hire of $17.50 per week for a maximum of four (4) weeks unless otherwise agreed with us.If you are happy with your test saddle, then most of the test saddles that we hire are available for purchase and will be fitted free of charge for Bike Fit Studio clients.No cyclist should ever have to experience saddle pain or injury; the right seat through a professional bike fit with Bike Fit Studio is your ticket to comfortable, healthy and physiologically safe riding. Too often cyclists forget about their feet and it’s not until they are in pain that they give them any attention. By then it’s too late. The most common type of foot pain generally falls into two categories: hot spot/friction injuries and compressive injuries. What causes foot pain in cyclists? Ill-fitting footwear or inappropriate cycling shoes – everyone is different when it comes to their feet and shoes. There are some shoes that suit people better than others. Podiatry issues with your feet. A bad or out-of-date bike set-up. A quality footbed gives you a solid foundation when you ride. Helps you to ride more efficiently. The whole bike-fit process starts with your feet. Fütbed creation can be completed in conjunction with a bike fit. 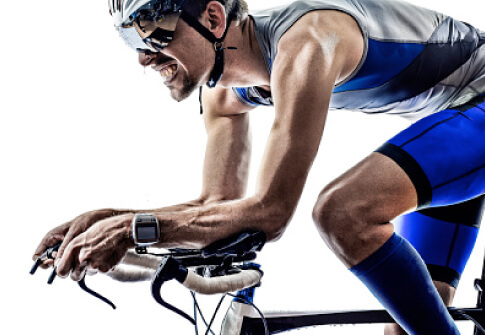 During a bike-fit consultation the fitter will evaluate the data captured by our 3-D system. We can mould your Fütbeds onsite during your bike fit. We use the latest tools and technology. We will make sure the foot-shoe-pedal interface is as comfortable as possible. Most foot problems are typically easy to resolve with appropriate equipment selection such as non-slip footbeds with metatarsal buttons. As part of our comprehensive bike-fitting service we offer customised insoles and footbed moulding because we believe having good feet and leg alignment is the foundation of comfort. Quality is key to performance and comfort. You must try on different makes, models and sizes. Just as your bike and insoles should be moulded to your specific requirements, so too should your shoes. As part of our bike-fit service, we align the foot and make it a stable structure on the pedal because it is a very important first step towards achieving an efficient, powerful, comfortable and durable cycling position. It’s crucial to remember footwear and cleat positioning play a major role in injury management and prevention. If a cyclist’s foot is not locked, or it moves within the shoe, it may cause injury and can create inefficiency. We will help you deal with your injuries and many people feel comfortable in talking with us about their injuries, regardless of how personal they are. If we feel your injuries are outside of our scope and expertise, we will refer you to one of our trusted professional physicians. Call us today on (07) 3844 0226 or email info@bikefitstudio.com.au and let us help you with custom Fütbed moulding and insoles. MORE INFO: Find out more about why you need a professional bike fit here. Are you fitted to your bike? What type of service can we help with? Do you have a preferred date?